B&H Photo Video has been offering some great deals ahead of their Black Friday sales, and the latest offer sees the LG V35 ThinQ being sold at $599.99 through the retailer. LG's Android flagship usually retails for $899.99, and even though the handset has been discounted several times since the release of its successor the LG V40 ThinQ, we are still looking at a decent deal for this powerhouse. The V35 ThinQ features a 6.0-inch display, 64GB of internal storage with microSD, dual (16MP+16MP) rear cameras, an 8-megapixel front camera, a 3300mAh battery and a Snapdragon 845 chipset with 6GB of RAM. The handset supports both GSM and CDMA networks in the US, allowing customers to use it on any network they want to. 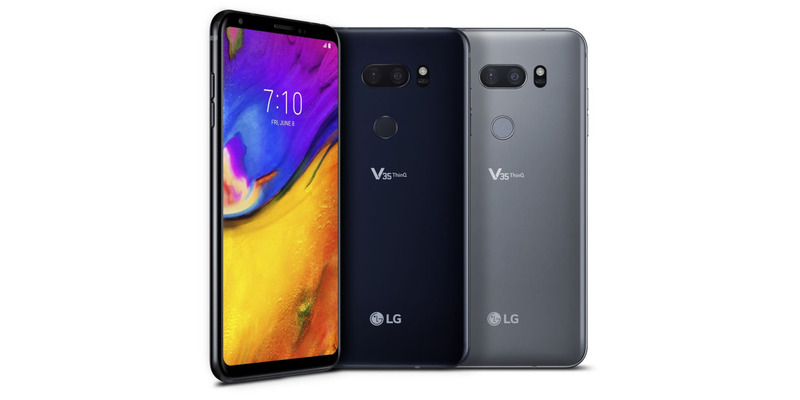 he LG V35 ThinQ is still eligible for its manufacturer’s Second Year Promise program, which will extend your standard 1-year warranty to a full 24 months once you register your device on LG's website. In order to sweeten the deal, B&H is offering the 2017 edition of Google’s Daydream View virtual reality headset for free. This accessory would usually set you back an additional $100. It is important for us to point out that Best Buy is offering the LG V35 ThinQ for $699.99 as part of a 'clearance deal', while Amazon Prime customers can pick the LG V35 ThinQ for $549.99 as part of the retailers Black Friday pre-sales.